Check out our updated guide for this year, click here. Eurovision 2017 starts tonight in Kiev, Ukraine. The annual song contest is loved by many and kicks off with the first semi-final tonight. It’s possible to watch the finals in many countries but in others it’s not shown at all or you might not have a subscription to the network or TV channel that is showing the event. If you’re looking for a reliable and official way to stream all the action from Eurovision 2017 including the semi-finals and the final then I’ve got the information on the best way to do this. So let’s find out how you can watch anywhere in the world. If you’re in the UK you’ll be able to watch the Eurovision 2017 semi-finals on BBC Four. You’ll also be able to watch the grand final on BBC One. If you want to stream online then you can watch on BBC iPlayer at the same time. If you’re outside the UK then you’ll be blocked from viewing but with a little tool called a VPN you can change your online location appearance to the UK and watch on BBC from anywhere in the world. Below you’ll find simple instructions on how to use a VPN to watch the Eurovision 2017 from any country in the world. Visit the IPVanish VPN provider. Sign-up to their service (1-month is enough for Eurovision). Download their Windows or Mac software from their website or app from your app store. The software or app will now make connection to the United Kingdom. This should take around 15 to 30 seconds. Once connected any website that you visit will think you’re in the UK so rather than see the following block screen. You’ll now be able to watch all the Eurovision Song Contest 2017 action online anywhere in the world including the semi-finals and the final. All you have to do is visit the BBC iPlayer website and click BBC Four to watch the semi-finals and BBC One to watch the final. There are alternative VPN services that will do the same job as our recommended provider above, IPVanish. They’re all pretty much priced the same so there isn’t too much difference but if you want to shop around a little then below are three more good VPN providers who you may wish to try. Simply visit their website, sign up and then connect to their UK server then visit the BBC iPlayer website. The process is the same as with our recommended IPVanish. The Eurovision Song Contest 2017 takes place on Saturday, 11th May 2017. Coverage of the final starts at 8 pm BST (9 pm CET). The semi-finals take place on the 9th May and 11th May. The semi-finals both start at 8 pm BST (9 pm CET). The 2016 competition was won by Ukranian singer Jamala with the song 1944 which is why the contest is being hosted in Kiev, Ukraine this year. This year sees Australia return to the lineup which throws in an interesting addition to the competition and brings in a fresh perspective. Like every year the winner is impossible to guess but if bookmakers are to be believed then Italy are the favourites to take the 2017 crown. After entering the competition a massive 42 times they have only taken home the prize twice and having not won since 1990 it’s about time the Italians took the crown. Second favourites are eastern European nation Bulgaria with Kristian Kostov singing Beautiful Mess, a song which he wrote himself. Having never won the competition and finishing fourth last year making their highest ever achievement they’ll be hoping to ride on the wave of success and take the top prize. Third favourites are Portugal and Salvador Sobral will be hoping to end their record longest entrants without a win title claiming their first ever prize. Finally, who can forget Ireland, Sweden, France, Luxembourg, United Kingdom and Netherlands who have all won between 4 and 7 times each. Surely they’re worth a punt? 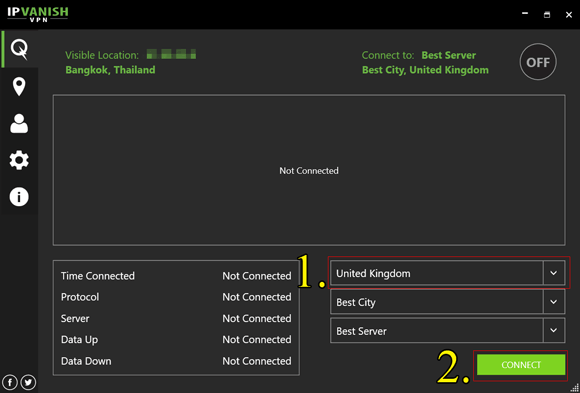 Why not take a look at our Best VPN for the UK list.